Shortly behind securing a Guinness World Record, The Pokémon Company International continues to celebrate 20 years since the first Pokémon games launched in Japan by teaming up with GAME. From 25th March 2016, those that visit the specialist retailer may receive a limited edition foil Pikachu card as a gift when purchasing any Pokémon product in participating stores, while stocks last. 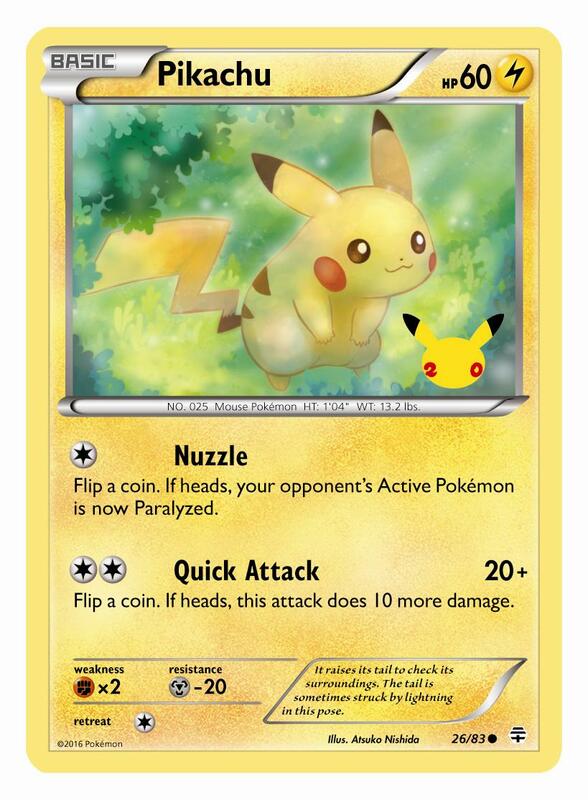 This special card is taken from the new Pokémon Trading Card Game: Generations expansion, marked with the Pokémon 20th logo and will not be made available anywhere else in the United Kingdom. Participating stores will also introduce special Pokémon bays, which will hold new Pokémon merchandise and some GAME exclusive products such as the Mew plush, figurines and Bioworld’s Pokémon T-shirt range.